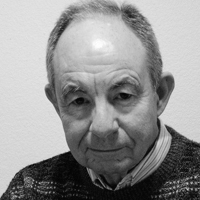 Thomas Halloran’s poems have appeared in The Literary Review, caesura, The Comstock Review, The Wild Goose Poetry Review, Defined Providence and elsewhere. He was one of the “Ten Writers Worth Knowing” in a special millennial issue of The Literary Review, Fall, 1999. As a psychologist, he studies the space we see in pictures. He now lives in Santa Rosa, California, after teaching in the United States and in Asia.